The NFL has been trying for years to make inroads in Europe — especially London. The NBA, which last expanded in 2004, is looking to get the jump on Mexico City, a sprawling metropolis of more than 20 million people. An NFL team in London? Count on it. 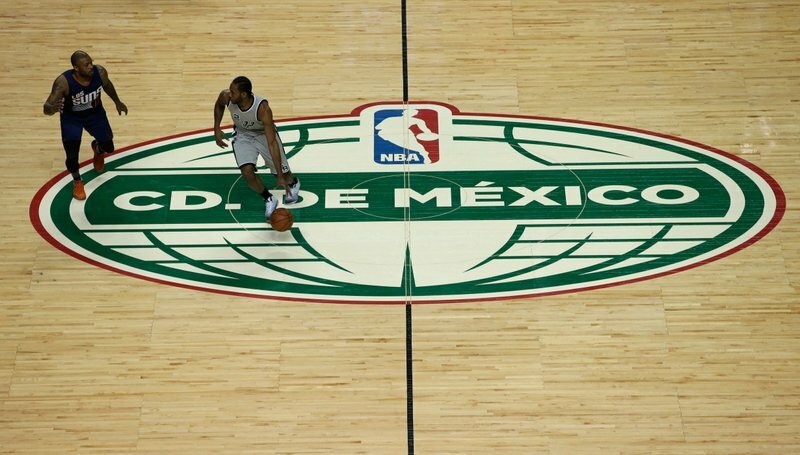 An NBA franchise in Mexico City? Yep, that’s coming too. What was once a pipe dream — major-league teams based in cities outside the United States and Canada — is now just a matter of time. The aforementioned cities are the ones most likely to break through first, but others will surely follow when everyone sees how much potential revenue is there for the taking. 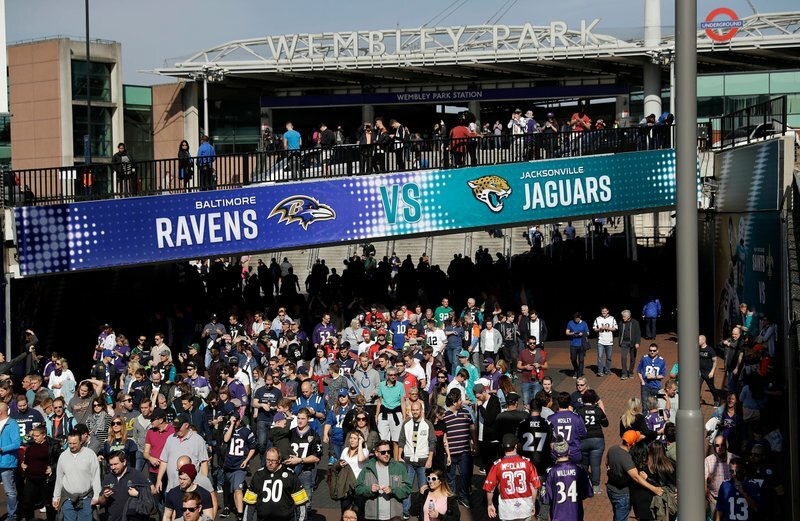 The NFL has been trying for years to make inroads in Europe — especially London — and those efforts were turned up to full blast by revelations that Jacksonville Jaguars owner Shahid Khan is attempting to buy Wembley Stadium, a 90,000-seat, state-of-the-art venue known the world over. Khan brushed off the obvious speculation that this is the first step toward moving the Jaguars to London — where they already have been playing “home” games since 2013 — but didn’t exactly provide a resounding vote of confidence for Jacksonville, one of the smallest markets in the NFL. In other words, better get used to calling his team the London Jaguars. 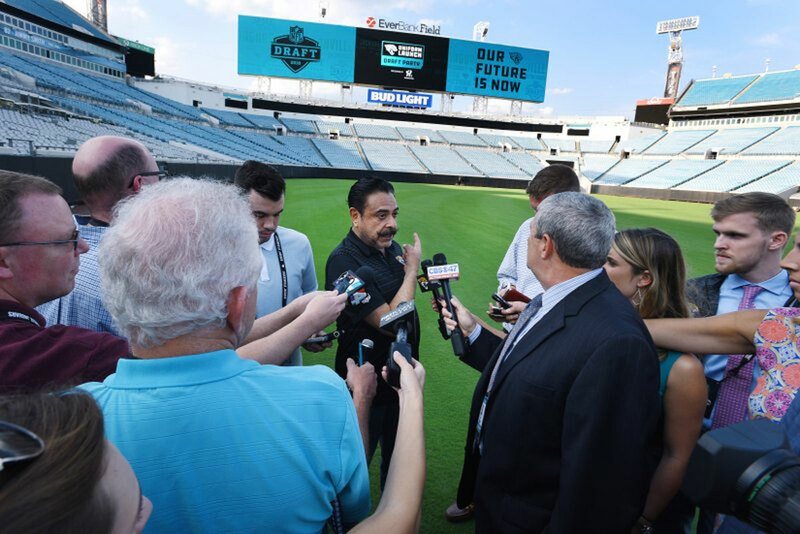 “Shad Khan’s purchase of Wembley Stadium portends that a substantive NFL presence in London, and ultimately a franchise, is inevitable,” said Vince Benigni, a professor of sports communication at the College of Charleston. The NBA, which last expanded in 2004, is looking to get the jump on Mexico City, a sprawling metropolis of more than 20 million people that opened an NBA-ready arena in 2012. That facility hosted a pair of NBA regular-season games each of the last two seasons , drawing an average of more than 20,000 fans. Of course, there are a number of challenges that must be addressed before international expansion becomes a reality — especially so for Mexico City, which is 7,350 feet above sea level (more than 2,000 feet higher than Denver), is plagued by crime and economic-disparity issues, and might have trouble signing top players who are reluctant to step outside their cultural comfort zone. But the appeal is enormous. The NHL first floated the prospect of a European division in the late 1960s. Detroit Red Wings owner Bruce Norris was so fixated on the idea that he launched his own team, the London Lions, who played a 72-game schedule against top European teams in 1973-74. Unfortunately, the Lions never had a league of their own, so the team quietly disbanded after that single season, leaving behind nothing more than a cool logo . Also working against European expansion: the lack on U.S.-quality arenas (even the most modern facilities generally lack the size and amenities to generate as much revenue as their American counterparts) and established basketball and hockey leagues in many countries would surely object to the NBA or NHL coming in to steal their limelight. For the NFL, the challenges aren’t nearly so daunting, and the potential rewards could be even greater for a league that has faced declining TV ratings and lots of bad publicity about the devastating physical toll on its players. There are no major pro football leagues in Europe. Teams play only once a week, generally on Sunday, and the entire regular-season schedule is just 16 games. A team in London would have to make the cross-Atlantic trek no more than eight times a year, and the demands could be lessened by scheduling back-to-back road games, halving the number of long-range roundtrips. A London team could even maintain its base of operations in the U.S., essentially playing all its games on the road but perhaps making it easier to sign players in free agency and cope with legal issues and currency fluctuations. MLB seems the most logical candidate to launch a Mexican team, given baseball’s popularity and the large number of Latin American players in the majors, but the NBA is leading the way. Silver wants to put a G League development team in Mexico City, testing the waters for a possible NBA franchise. “As we look down the road, frankly, to see whether there can be an opportunity to even dream about an NBA franchise here in Mexico City, we believe it makes sense as a first step to have a development league team here to work out some of the issues, to better understand what it would mean to have a team in Mexico,” Silver said. There are still plenty of questions to answer, that’s for sure. But one is crystal clear. Are U.S. leagues going international?